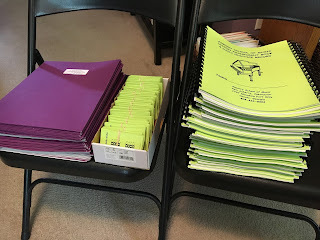 Today it’s back to the books for the children in my local school district and back to full time piano teaching for me. I’ve always loved this time of year. When I was a kid, it meant going shopping for new clothes and new shoes and school supplies. Of course, now I don’t need a new box of crayons but I usually buy one anyway, along with a stack of composition notebooks (on sale, of course) and paper, printer ink, folder, and everything else I need to get ready for a new year of teaching. Last year, I invested in a comb binding machine and made assignment notebooks for my students. 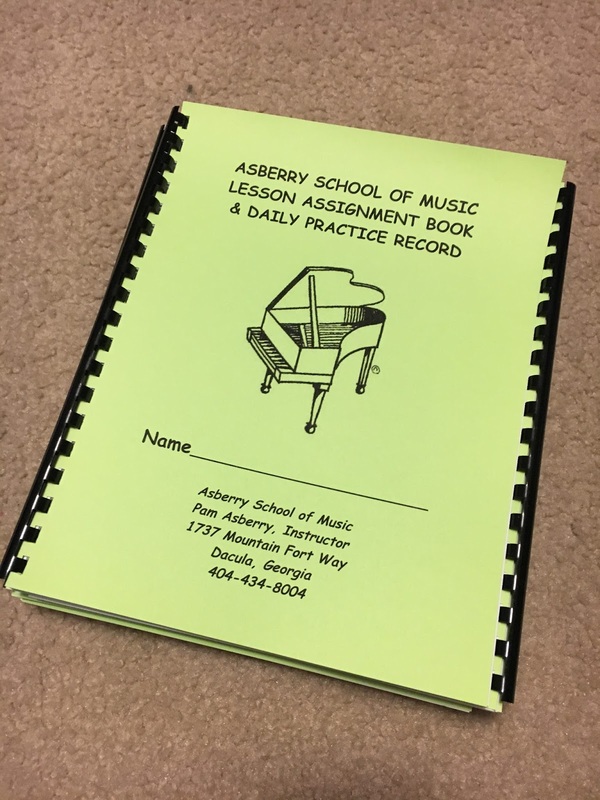 In the notebooks, we kept track of weekly assignments and daily practice along with music terms we encountered throughout the year and a list of pieces memorized. This past weekend, I revamped last year’s cover and updated the inside pages and put together this year’s notebooks. I am very pleased with the results. The first page of the notebook is a lesson and practice contract. This week, after I greet each student and hand over the assignment book, I will review the terms of the contract, which includes my expectations about conduct at lessons and practice at home. Then I ask each student to make a realistic commitment to practice a minimum number of minutes each day a specific number of days per week. These numbers vary from student to student but once the page is signed there is little room for excuses for not meeting the established goal. It takes the responsibility for practice off me and places it right where it belongs: on the student. 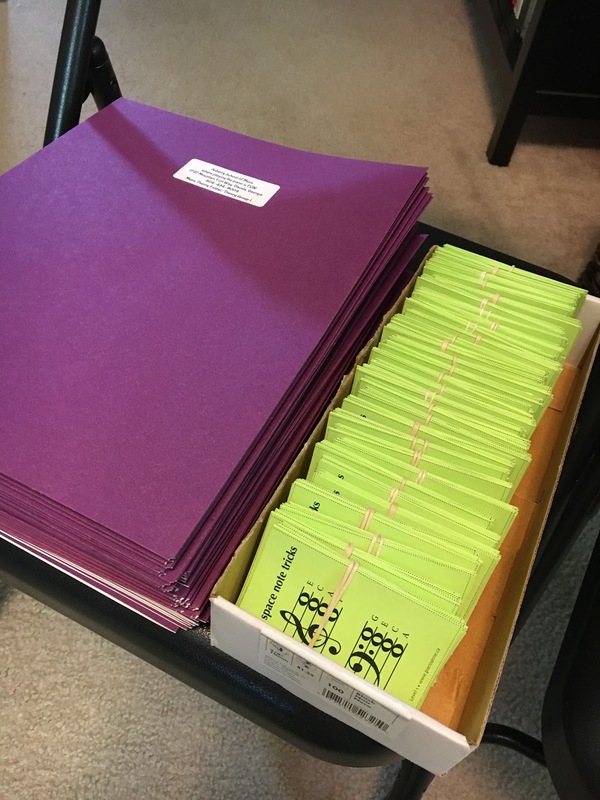 I also put together music theory folders, a vehicle for transporting weekly music theory assignments to and from lessons, and made thirty sets of music note flash cards for those students who haven’t yet made it into the “minute club” – being able to name and play all 24 treble and bass clef line and space notes in one minute or less. Yes, all this printing, binding, and cutting takes time. But it is time well spent. It gets the academic year off to an organized, intentional start, with goal setting a team effort. Students are empowered for success one practice session at a time. I will be happy to share my assignment notebook pages (Word documents) and music note flash cards (PDF file) with any of my readers who might be interested in adapting them for use in their own music studios. Just leave a comment at the end of this post and include your email address. Questions? Leave a comment and I will do my best to answer. Ideas? Please share them here as well. There is so much we can learn from each other!